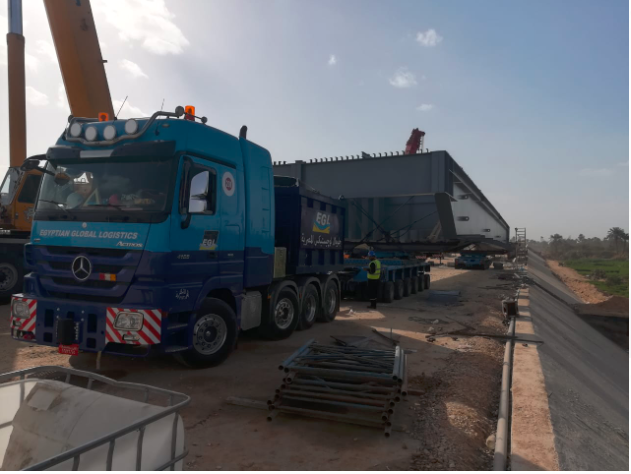 On the 27th February 2019 Egyptian Global Logistics (EGL), subsidiary of KADMAR GROUP completed transportation of the steel beams for El-Wasta bridge over the Nile using Goldhofer 12 axle lines turntable. 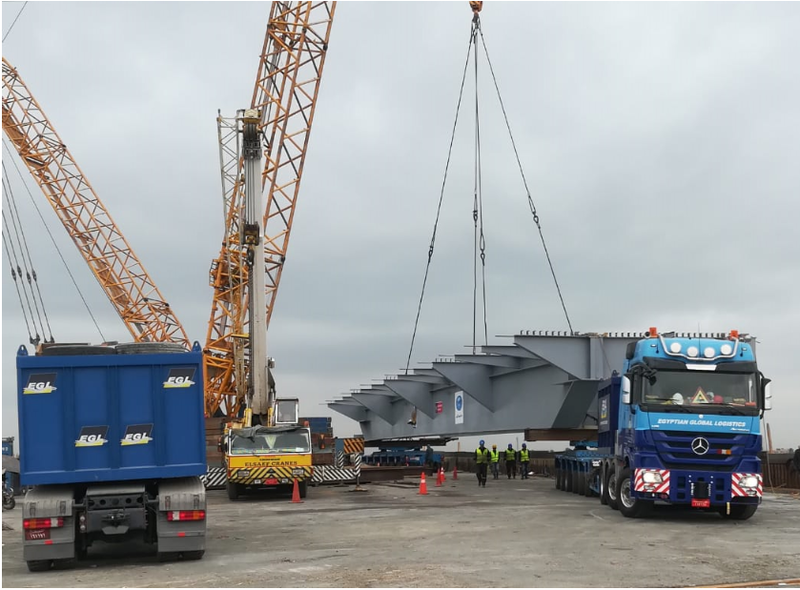 The weight of the beams was not balanced in width, since the left side weighs 58 tons, and the right side - 35 tons with cross girders of 4.50 m between them. 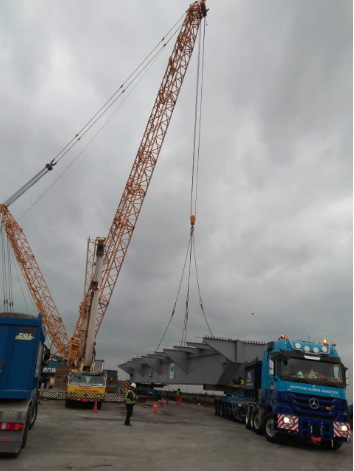 In the assembly area, loading was performed using 2 cranes with a lifting capacity of 300 tons each, which required performing critical maneuvers for loading by using a 6 by 6 turntable. To reach the installation position on the bridge, one heavy crane with a load capacity of 650 tons was used. Thanks to EGL Project Team for cooperation. EGL continues to impress the market with the well trained staff along with the latest fleet equipment and technology in Egypt. EGL achieved this success through careful planning without sacrificing safety aspects.